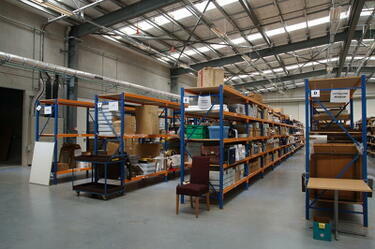 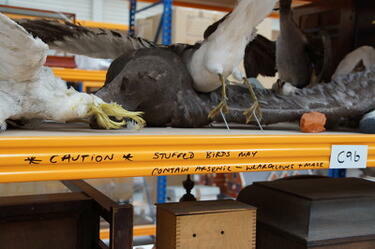 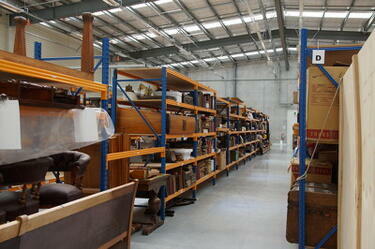 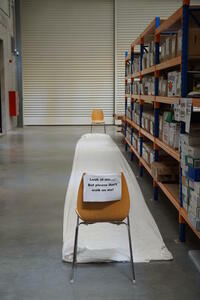 A photograph of shelving used to store collections in the Canterbury Cultural Recovery Centre. 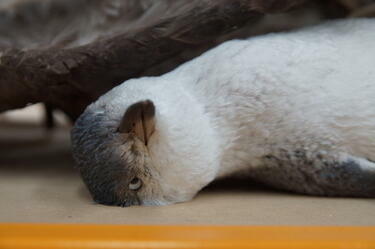 A close-up photograph of a stuffed penguin that is being stored at the Canterbury Cultural Recovery Centre. 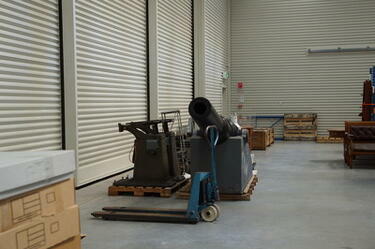 A photograph of a cannon and other large objects that are being stored at the Canterbury Cultural Recovery Centre. 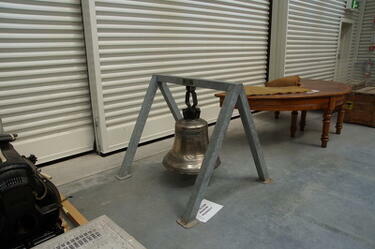 A photograph of a bell from the Lyttelton Museum's collection. 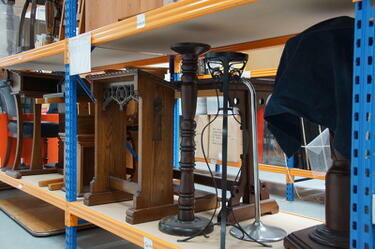 An antique half-round writing desk stands beside the bell.